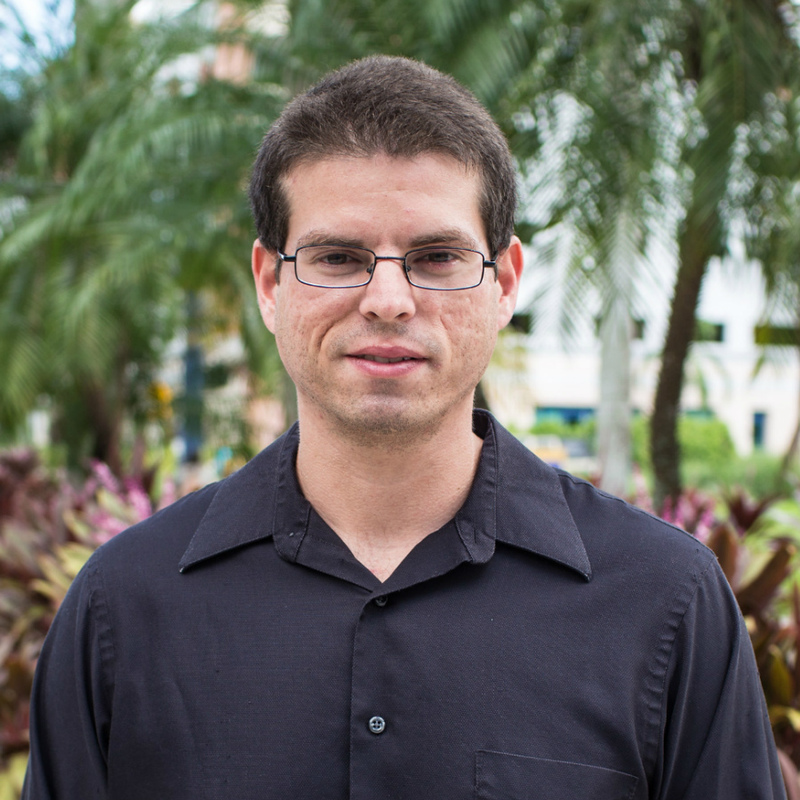 Eric Betancourt is the Agroecology Program Coordinator and Laboratory Manager. He is originally from Miami, Florida and started his college career in 2008 at the University of Miami where he studied for three semesters before transferring to Florida International University in order to better pursue his interests in the field of environmental science. In the fall of 2011, he was accepted into the Multicultural Scholarship Program under which he conducted a research project entitled “Comparing Control Agents for Carrot Root-Knot Nematode.” Eric graduated with a Bachelor of Arts in Environmental Studies as well as a Certificate in Agroecology in the spring of 2012. In the following fall, he chose to continue his studies as a graduate student under the advisement of Dr. Krishnaswamy Jayachandran after being awarded the National Needs Fellowship. During his time as a Graduate Research Assistant, he completed the thesis project “Evaluation of Crop Seed Powders as Amendments for Purple Nutsedge (Cyperus rotundus) Control Compared to the Traditional Herbicide, Roundup.” In the summer of 2015, Eric graduated with a Master of Science in Environmental Studies and has been under the employ of the Agroecology Program since.